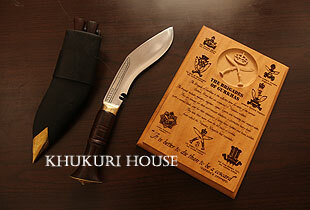 Here is a brand new Khukuri set for all Khukuri lovers and fans. With this decent size Khukuri blade, it comes with a newly designed Brigade of Gurkhas Plaque to hang on your wall dedicating to the Brave GURKHAS for their bravery and valor. Go grab a set. Plaque, that includes all Regimental badges that was in the Brigade of Gurkhas.